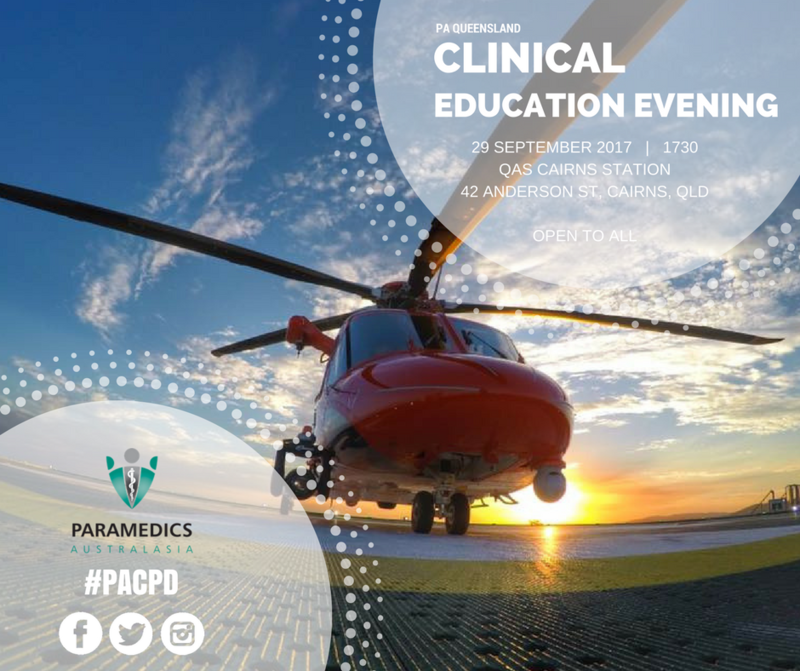 Join us for another successful clinical education evening at QAS Cairns Ambulance Station. Following a successful set of education evenings, paramedics present interesting clinical cases, over refreshments, & share learning outcomes. Guest speaker Marty Dahlstrom from QGAir will be presenting on his role & the operational requirements for activation of the Rescue 510 helicopter. This session is open to all. Registration is free & for catering requirement purposes only.